The completed Womxn of Color mural is pictured on Nov. 20, 2018. 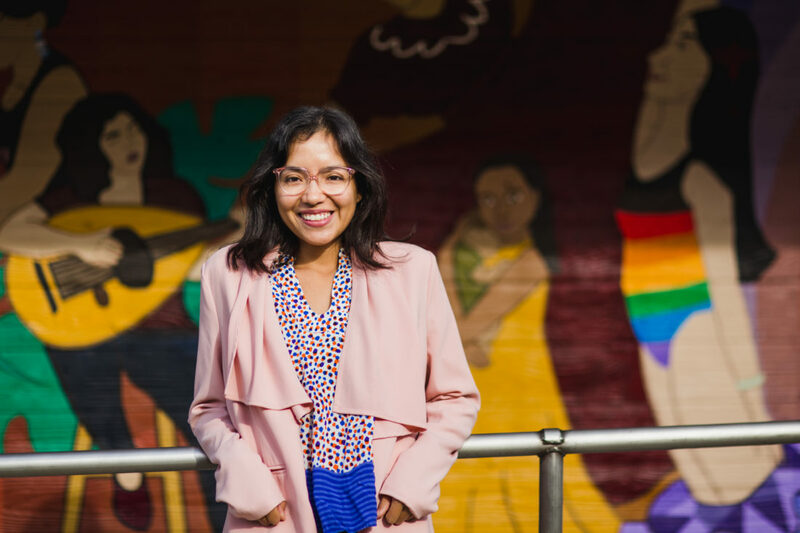 The mural that now wraps around the foundation of the Lawrence Public Library catches the eye with its background of vivid colors, but what the artists involved find the most important are the many shades of brown of the women depicted. The “Wak’ó Mujeres Phụ nữ Women Mural” depicts more than 20 local women and girls of color from multiple centuries and cultures. To illuminate the stories of these women, some relatively unknown, represents a tribute to them but also to the girls and women of color who view the mural, the artists said. Connie Fiorella Fitzpatrick, one of the lead artists with the Womxn of Color mural project, stands in front of the completed mural, painted on the Lawrence Public Library, 707 Vermont St. The mural’s name includes words for “women” in three languages: the indigenous Kanza language, Spanish and Vietnamese. Now that the mural is complete, the project team is inviting the public to a ribbon cutting and celebration on Sunday. The team included more than a dozen people, who took several months collecting stories about those depicted in the mural. The team then used those stories to come up with the mural’s design and had several community painting days. The project also sparked some controversy early in its development, as some people were opposed to painting the mural on the new library building. 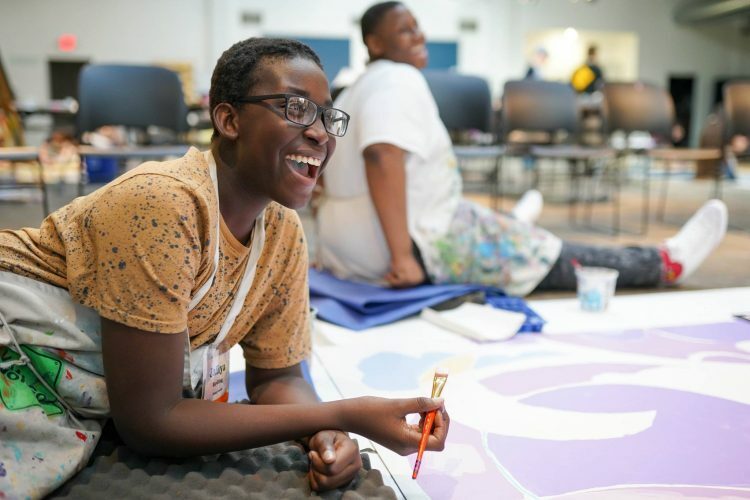 After going through the whole process, Leah Evans, another member of the team, said that in addition to the mural providing a sense of welcoming and belonging, it also created connections among all those who worked on the project. Ella Cara Deloria is featured on one panel of a recently completed mural depicting women of color on the south side of the Lawrence Public Library, Wednesday, Nov. 21, 2018. 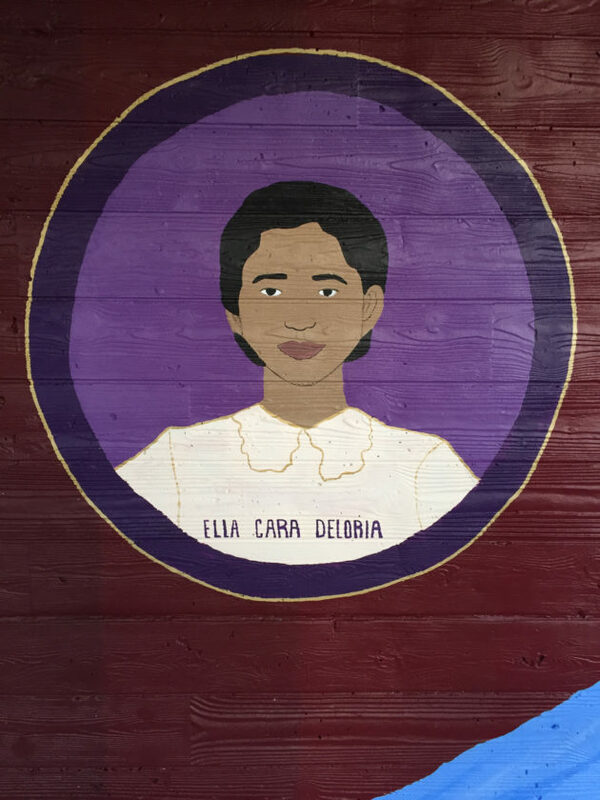 Those depicted include Ella Cara Deloria, 1889-1971, who was a nationally known Native American anthropologist, linguist and novelist. Deloria lived in Lawrence and taught at Haskell Institute for several years. Deloria was an important recorder of native cultures and languages. She wrote texts about grammar and customs, and she also recorded and translated folktales. 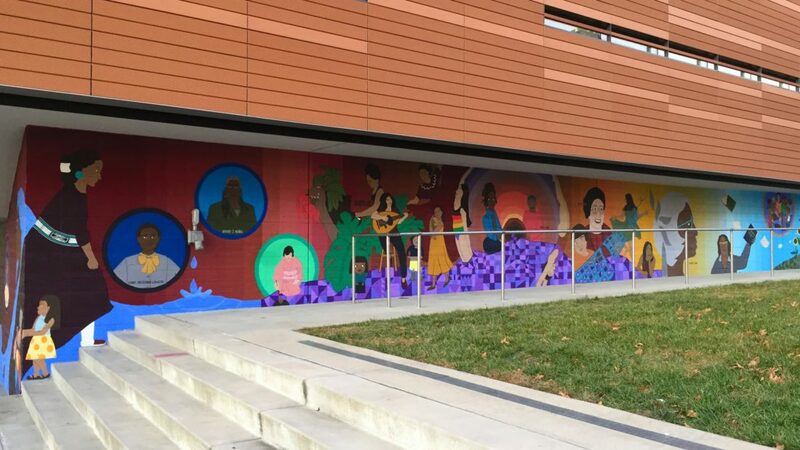 Tomiko Mehl is featured on one panel of a recently completed mural depicting women of color on the south side of the Lawrence Public Library, Wednesday, Nov. 21, 2018. 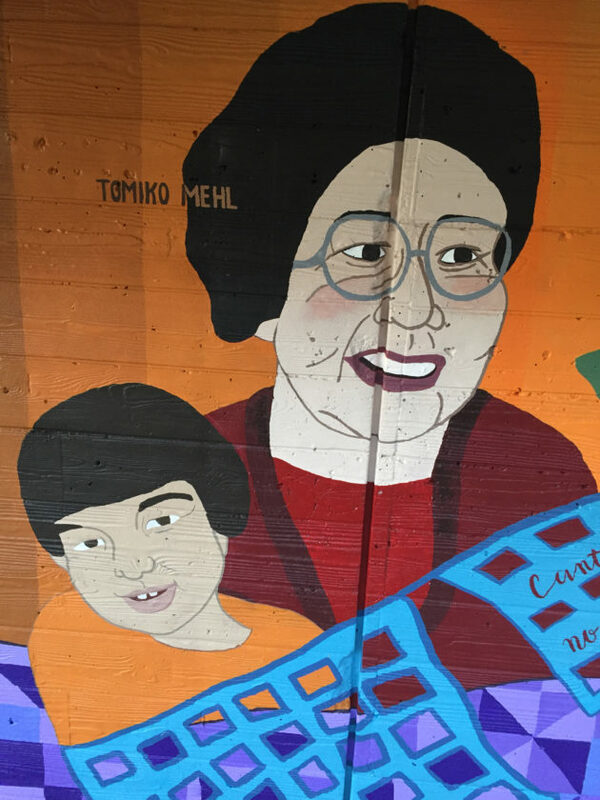 Another woman depicted in the mural is Tomiko Mehl, 1930-2012, a Japanese nurse who came to the United States after marrying a U.S. soldier serving in the Korean War. 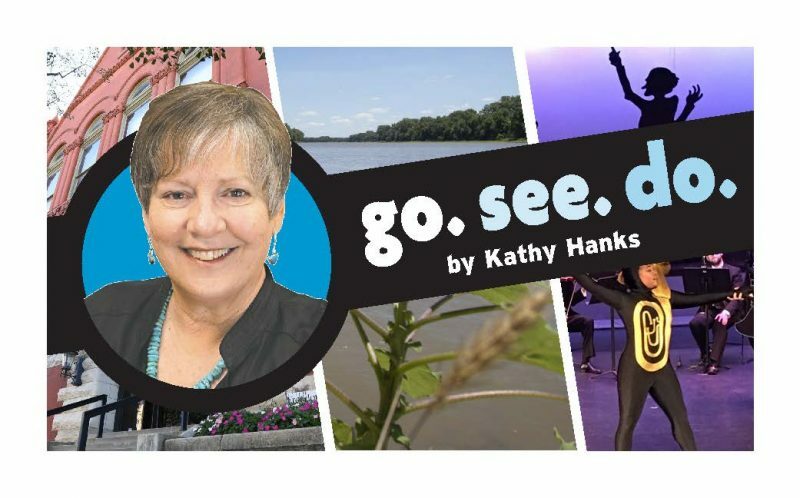 The family settled in Mehl’s husband’s hometown of Beloit, and Mehl eventually moved to Lawrence when her sons were enrolled at the University of Kansas, according to Mehl’s granddaughter, Addie Mehl. Addie Mehl said that after going through her own adjustment to Kansas, her grandmother began reaching out to Japanese students at KU, providing them a place to have traditional food and also helping them navigate their new surroundings. 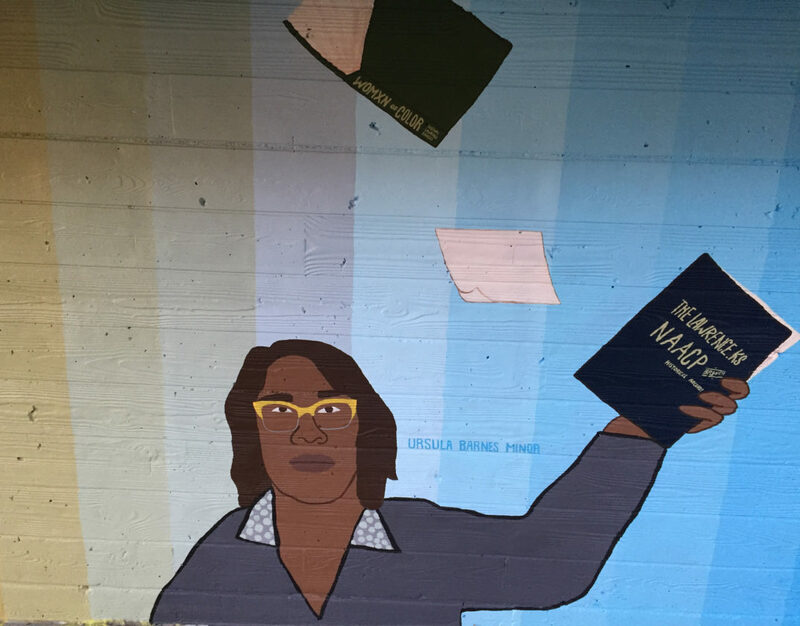 Ursula Barnes Minor is featured on one panel of a recently completed mural depicting women of color on the south side of the Lawrence Public Library, Wednesday, Nov. 21, 2018. Also depicted are present-day Lawrence residents, including Lawrence NAACP President Ursula Minor. Next to Minor is a piece of paper with the names of all of the female chapter presidents of the NAACP. 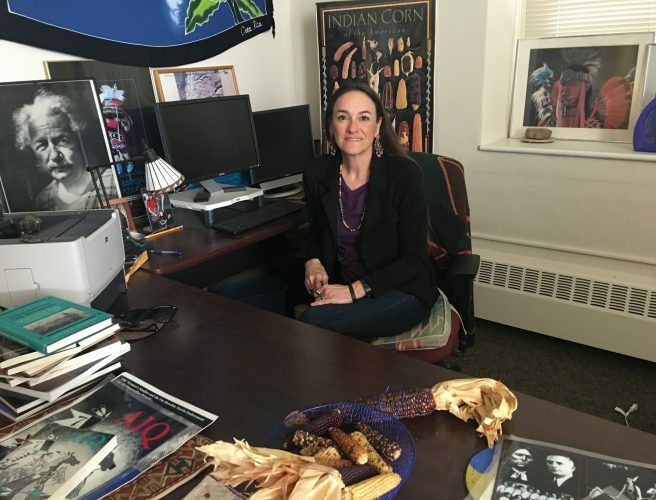 Fiorella Fitzpatrick said that Minor’s oral history recorded as part of the project includes stories about her experience growing up as a black girl in Lawrence. Like the women depicted in the mural, those who took part in the project represent diverse backgrounds. Fiorella Fitzpatrick said that 14 adults and three children, many of whom did not know each other before the project started, took part in the design of the mural. She said the project and mural represents diverse people who joined together to represent the history of women of color through the arts. In total, the group collected the stories of 22 women of color as part of the project. 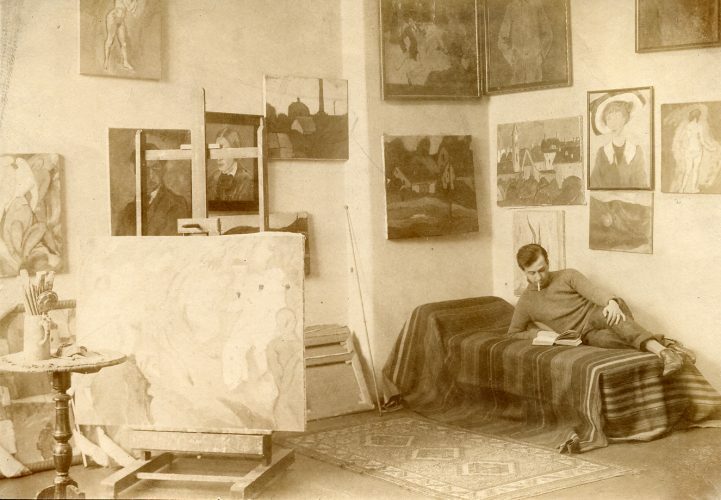 The collection includes some full audio recordings and transcriptions, as well as some summaries of conversations. Fiorella Fitzpatrick said that the materials will be posted on the group’s website, and the hope is to archive the project at the library itself or local museums. The team received two grants to help fund the project, totaling $11,000. The team was awarded $6,000 from the Rocket Grants program, a partnership between KU’s Spencer Museum of Art and the Charlotte Street Foundation. The project also received $5,000 from the Kansas Department of Commerce Creative Arts Industries Commission. Ultimately, Fiorella Fitzpatrick said she hopes the project will spark more interest in collecting firsthand stories of local history. 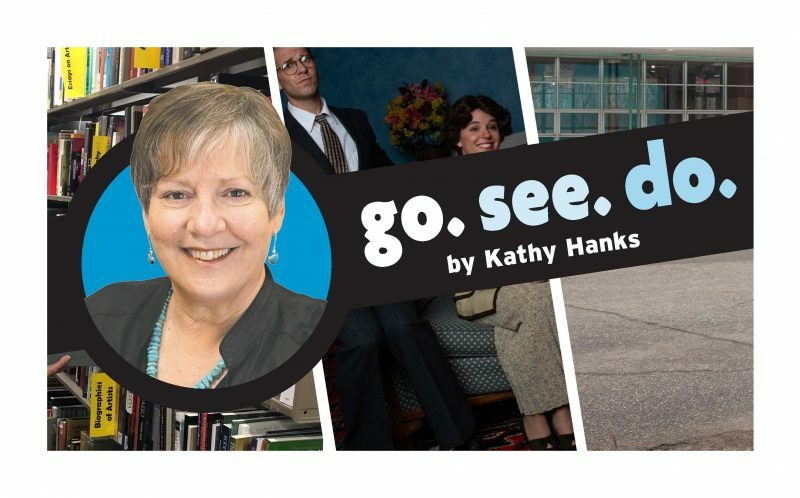 • Because of a winter snow storm, the Lawrence Public Library announced late Sunday morning that it would be closing for the rest of the day. The ribbon cutting ceremony which was previously scheduled for Sunday afternoon will be postponed until a later date, the library said. More information about the mural and updates about the event can be found on the mural team’s Facebook page.